1. Who are you trying to talk to? Are they self-starters, or do they seek to outsource whatever you sell? When they are thinking about buying X, what questions will they have? When they are thinking about buying your product or service over a competitor’s, what questions or reservations will they have? 2. 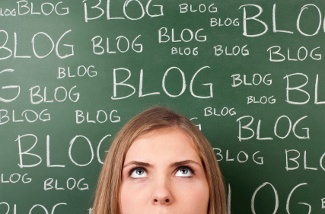 What role should your blog play in the larger marketing strategy? Often, there is a larger marketing strategy that your blog content should support. Do you need more leads? A blog can help draw in qualified traffic through supporting search engine optimization – by publishing content that’s related to the keywords your customers are searching with on Google. Content may focus on a mix of answering common questions and case studies. Or, do you need to make sure your boss and your staff are viewed as industry experts? Content should be focused on highly relevant and up-to-date topics, pushing good advice to your prospects. What challenges have you helped your clients overcome? What stories can you tell about how you’ve met an untapped need relating to your industry or customer need? What new or upcoming trends, tools, and stories should your customers be on the lookout for? After reviewing your blog prospects, role in marketing and expertise – brainstorm a list of content! Build a list of 10 or so at a time to save yourself from a painful analysis 2/3 times a week. Better yet – share your strategy + list with your company to open up the brainstorming with others. Make sure your blogging is transparent to encourage involvement. Need help building your blog strategy? Contact us for a conversation.